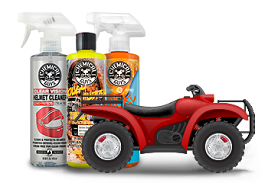 Sticky Citrus Gel is a thick viscosity wheel cleaner that clings to wheels and rims, keeping the all-natural formula exactly where you need it fighting dirt and debris without rolling off! Sticky Citrus clings to wheels and vertical surfaces, suspending road grime, brake dust, oil, and dirt and then lifting it off the wheel safely and gently. Sticky Citrus sticks hard to keep the cleaning power where you need it, without rolling off the surface. Spray Sticky Citrus over filthy wheel parts, and watch as it sticks to the filthiest surfaces for a deeper clean using less product! We’ve formulated Sticky Citrus with all-natural citrus extracts, and without highly-caustic cleaners. 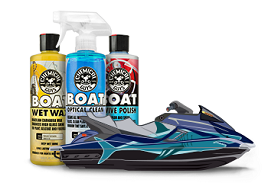 Sticky Citrus Gel combines natural cleaners with oxygen generators to clean any wheel type safely and effectively, without any harm to you or the environment. 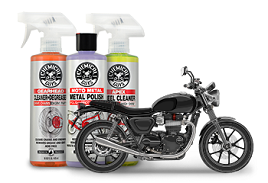 The non-caustic formula cleans and degreases nasty wheels fast, then rinses clean with no spots and no residue!